Jeep JK Wrangler Front Heavy Duty Brake kit - FREE SHIPPING. 4 piston calipers with 350mm x 32mm rotors. (13.8" x 1.25"). Fits 2007 - present. 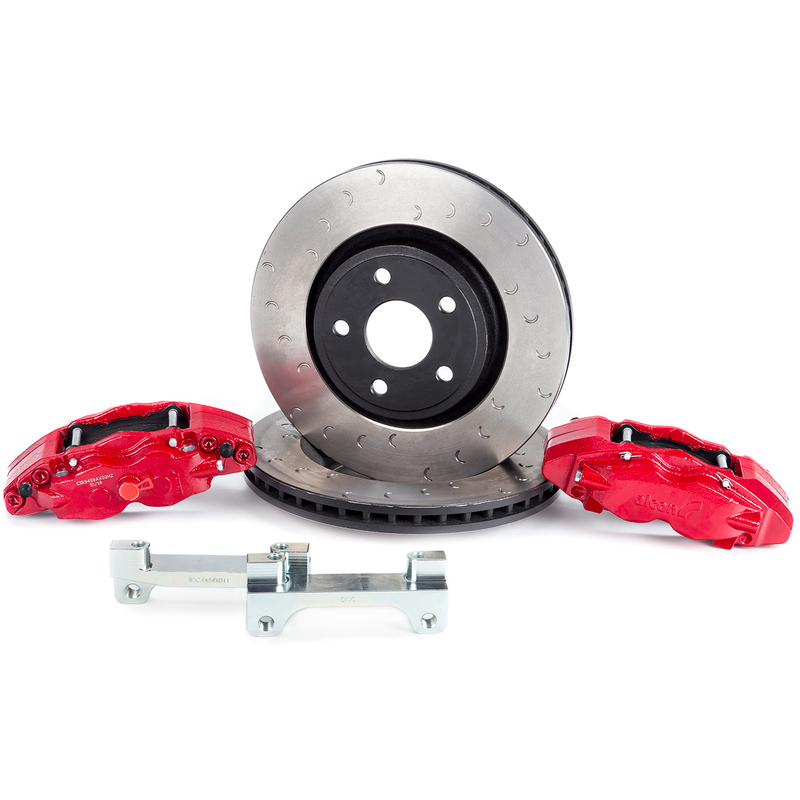 Alcon introduced the Jeep JK Wrangler Rear Heavy Duty Brake Kit because many of you were looking for a substantial upgrade in braking performance and some features not found in any other kit. HIgh temperature seals as used in motorsports applications, dust seals for performance in the worst conditions, and a low profile designed to fit under your OEM wheels. WILL IT FIT MY JEEP? Yes. The kit fits under OEM and aftermarket wheels. Designed as a compact package. You can verify your fit by using the primtable templates below. WHAT ABOUT PARTS AND SPARES? Free shipping offer for continental US only.